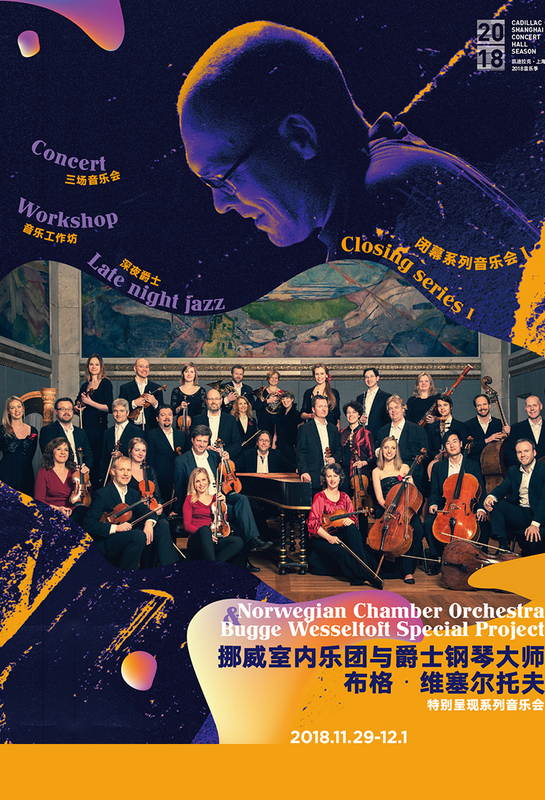 Since its formation in 1977, the NorwegianChamber Orchestra has established itself as one of the foremost chamber orchestras on the international classical music scene. Renowned for its innovative programming and creativity, the NCO is a project orchestra comprised of Norway's finest instrumentalists. Their current artistic director, Terje Tønnesen, who has held that role since the orchestra’s formation. They're performing in Shanghai for two nights with acclaimed Norwegian pianist and composer Bugge Wesseltoft, one of the most important figures of the contemporary jazz scene in Europe. On Nov 11, they'll be playing Grieg, Shostakovich and Bach, and Dec 1 sees them perform Schönberg's 30-min Verklärte Nacht and Bach. **Please note that if ticket categories have sold out, extra seats may be added on the first floor in front of the first row and between rows 10 and 11, and between rows 5 and 6 on the second floor. Extra seat price categories will be added here once this has been confirmed, and will be indicated in our seating chart as well. Please also note that children under 1.2m tall are not allowed into the concert hall.